Who are the best biotech investors? I recently published a report over at Chimera Research Group titled 13F Analysis of Best Performing Healthcare Hedge Funds (Q1 2015). As free preview to the Chimera article, below is a list of the best performing healthcare specialists, judged by replicating the holdings disclosed in their 13F filings. For details on how these portfolios were constructed, see the geek notes below. As implied by the article title, I identify the best performing healthcare focused hedge funds from the list of 35+ 13F filers I track. From this list I created a "best ideas" portfolio by looking for stocks that multiple managers own. The intuition is this: if two biotech specialists with great track records, who are presumably competitors, are both in the same stock, its worth a look. The entire article, including stock picks, is available over at Chimera Research Group. To be perfectly clear: These are the not returns of the funds listed, rather they are the returns of buying the stocks listed on the fund's 13F filing. All data pulled from 13F filings. Top 20 holdings, equally weighted, long only. Portfolio rebalanced 46 days after quarter end, as filings are due 45 days after quarter end. Backtesting all 35 healthcare hedge fund 13F by the criteria above, these are the best performing 13F portfolios over the past one, two, and three years. The data is from Whalewisdom.com. We've all heard of doubling down on an investment. How about doubling down 11-fold? This is exactly what RA Capital Management did, raising their holdings of ACHN from 2m shares to 23m as the stock moved against them from 2012 to 2014. Their conviction paid off when shares rallied from as low as $2.52 to over $13 in the summer of 2014. RA Capital is a a Boston-based healthcare crossover fund, and according tothis study (original here), a great stock picking firm. I have been following RA for a few years now, and had the pleasure of seeing this trade play out in real time. I also had the good fortune of following them through this trade for myself and client accounts. RA Capital first disclosed their position in Achillion in the summer of 2012. You can see the shares held (green and orange) on the right side of the chart above, with the stock price as the blue line. Over the next year, biotech industry observers pontificated that Gilead would dominate the space HCV space with sovaldi. However, things were just beginning to get interesting. The FDA put a clinical hold on Achillion's lead drug sovaprevir on July 1, 2013 due to toxicity concerns. On July 22, 2013 Peter Kolchinsky, Managing Partner of RA Capital Management, wrote a piece for xconomy, defending Achillion, and refuting the idea of Gilead capturing the entire market, stating that Achillion would compete on price, carving out its own niche in the HCV space. By this time, RA had increase their holding from 2m shares to 7.4m. For those interested, Kolchinsky's book The Entrepreneurs Guide to a Biotech Startup is a great read and can be found here. When the FDA declined to lift the hold in September 2013, the stock took a beating from the $7's to the high $2's. However, RA Capital stepped up their buying in the rest of 2013, eventually owning 23m shares and over 20% of the company. During this time,bulls argued that the liver toxicities only occurred in a small subset of HIV patients, and therefor could be overcome. Bears saw a drug with toxicity issues that was late to market (if at all), and a pipeline that was not mature enough to get excited over.The shares traded as low as 2x cash on the balance sheet. However, those paying attention to RA Capital noticed the buying, and had ample opportunity to buy during the nine months the stock was down, which I did. In June of 2014, two events occurred that boosted Achillion price. HCV rival Idenix was acquired, and the next day, the clinical hold was lifted. RA Capital's stake rocketed from $65m to $217m in about two months. Since then, RA Capital has began to unwind its very large position, selling it down, presumably for risk management purposes, and to book some monster gains. The willingness to go against the grain, the deep level of conviction, and the huge win makes this one of my favorite biotech trades of all time. Want more articles like this? Sign up for our emails. RA Capital holdings from Whale Wisdom, data sources are the following SEC filings3G, 3, and 4. This data is for common equity only. 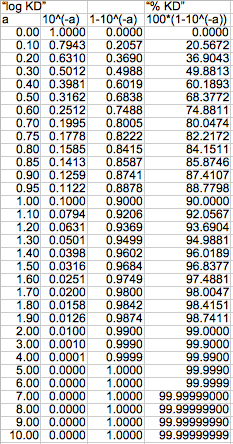 RA Capital disclosed option positions (bull call spreads) in the various forms. I have chosen not to include these in this graphic, so their actual economic exposure could be materially different. Between the forms 13F/D/G and the in Insider Forms 3/4, there are reporting differences of how many shares are held. I believe this relates to what accounts/funds get reported. To address this I cleaned up the data to best tell the story.